The medical industry could soon see the introduction of a robotic arm designed to perform keyhole surgery, while taking inspiration from an unlikely source; the leg of an octopus. This innovative piece of equipment has been designed by a team of Italian researchers to reduce any safety risks involved with this delicate form of surgery. So, why choose such an obscure creature as inspiration? 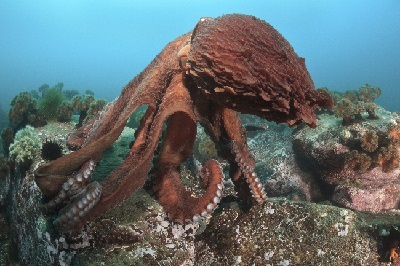 An octopus is a very uniquely designed animal. With no rigid structures, they are incredibly flexible; being able to adapt their body shape and rigidity to suit their environment is pretty unique to this species. This ability to control how rigid their bodies are is what is so attractive about the octopus, and what this robotic arm tries to replicate. The designers are hoping that this control will eliminate the need for a whole variety of surgical tools, with this robotic arm being able to perform all the tasks that a surgery may require. The robotic arm will also be able to reach remote areas of the body that keyhole surgery may not currently be able to reach, which makes this style of surgery a more widely available choice for some patients. Every surgery has its own risks, especially when working in close proximity with some of the vital organs. With this incredibly flexible robotic arm, the risks while working round such important parts of the body can be drastically reduced. The ability to control how rigid the tool is greatly reduces the risk of any damage to any nearby organs when it is in soft mode. Once the organ has been cleared, the rigidity can be adapted and the actual surgery can be performed. This adaptability allows for the surgeon to make fewer incisions which are smaller in size in order to accommodate the instrument. With patients coming out with smaller scars and possible shorter recovery times, we can definitely see why this is a highly anticipated concept in the medical field. At European Springs, we are always excited to see the ways in which engineering can help multiple industries, and as we have customers in the scientific medical sector, we are excited to see how far this project goes. It&apos;s such a unique concept and we can&apos;t wait to see if this simple robot can help increase the quality of care when it comes to such delicate operations. As leading spring manufacturers with a wide range of valued customers, we are able to provide the UK&apos;s widest range of springs to many different industries. From aerospace to domestic appliances, we have something for everyone. If you would like more information on any of our products, don&apos;t delay in getting in contact with us today by calling us on +44 (0) 208 663 1800 and one of our dedicated team will be happy to assist with any enquiries you may have.